As the UK swings from one debacle to another like a crazed orangutan with a death wish, it can console itself with one fact: the cliff edge might be rapidly approaching and with it some unknown Armageddon, but it is still culturally one of the most powerful nations on earth. Britain sits in second place on the Portland Soft Power 30, a ranking system designed to show the most powerful cultural influencers. In top spot sits Britain’s longstanding rival France, but this is nothing to be bitter about. After all, it is hard to dislodge a country which gave us presidential trysts via moped, Daft Punk playing military displays and Jacques Cousteau. Despite Brexit, the UK still holds second thanks to the high regard in which British Universities are held, the success of film and music, the BBC World Service, fashion brands and amazing global popularity of the Chuckle Brothers. Ok, that last one is not strictly true in this version of reality, but British culture is still considered cool around the world. More specifically, the UK and British culture is still very popular with young Germans. When I discuss the UK with my students, they frequently tell me they would like to relocate to London in the future and although the globalised British capital represents the UK in the same way that Disney Land represents the average American city, it does go to show that Britain is still popular for millennial Germans. Culturally, students frequently question me about the state of British politics, the English Premiership and the media. When it comes time for the students to spend a semester abroad, they often opt to go to the British based universities, even when they have options to go to universities in other regions of the world. Looking at how the UK is sold to Germans is quite interesting, especially now that Brexit is supposed to have turned my former island home into a global laughingstock. Wöhrl, the Bavarian based department store, has recently gone British with a recent campaign centred around UK fashion or what is perceived to be UK fashion. Duffle coats, tartan scarves and tweed as far as the eye can see are displayed next to large cardboard points of sale that show Big Ben and double decker buses. Following on from my student’s obsession with London, the marketing team only saw fit to include images of the British capital to represent their new range, which is little reductive. For one thing, tartan is obviously Scottish, but there are no artsy black and white photos of Sauchiehall street or the Wallace Monument to be seen. 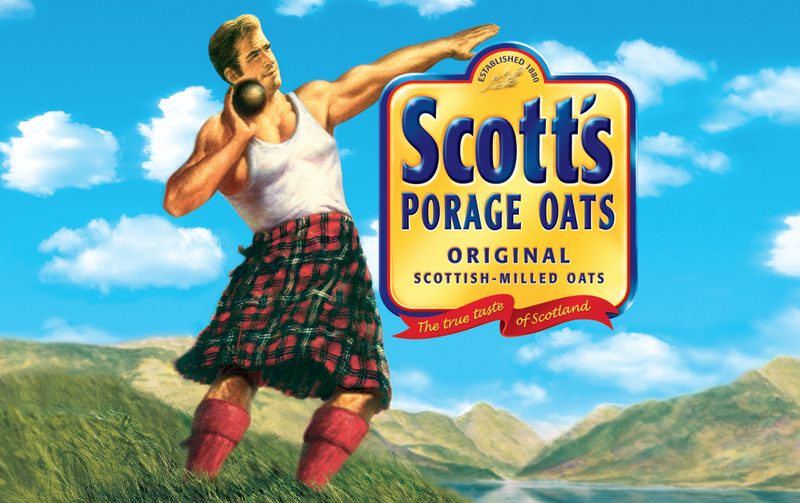 Surely the Scott's Porage Oats man could have been utilised, if only to give Germans something to swoon over while buying a nice jumper. This trend of a one-dimensional British culture is what is often sold to people in Germany and it seeps into much of the German understanding of the UK. I recently went to Würzburg with my wife and as we wandered around the city we came across a shop called, appropriately enough, Eton Place. As the name suggests, it was dedicated to this narrow understanding of Britain with plastic waving Queen ornaments, fine china tea pots and handmade cards. They also had soap, lots of soap, but all of it seemed to be lavender scented. I appreciate I am from the North of England and, so I might be a little out of the loop on the trends in scented soaps, but I had not realised that lavender was the official smell of Britain. I had naively assumed it would be something like fried food or gravy, but I freely admit that those two odours would probably not make a globally marketable product. Then again, why wouldn’t people want to smell like Bisto? The British culture seen in Germany is more David Cameron, Ed Sheeran and National Heritage gift shop than it is Stormzy, Alan Partridge and Stella Artois. This is not surprising, given that most German travellers will visit the South of England and parts of Scotland and miss out most of everything else. Wales, for instance, does not feature in any discussion of the UK I have with Germans, unless it comes to football. In those cases, Germans simply want to know what Wales is, to which I reply, “A terrifying land of brutal rugby players with hands the size of spades and beards made of chainmail” which seems to answer most of the broader enquiries. British soft power has been a success, one of the few in the last year, but before Jacob Rees-Mogg gets the Union flag bunting out and starts prattling on about Agincourt, it must be mentioned that even though the UK has retained second place in the Soft Power 30, it is not entirely clear that the trend will continue in the future. 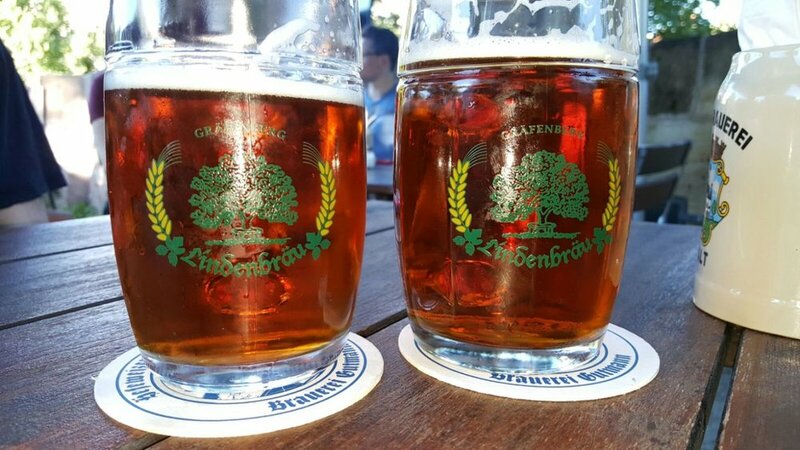 Brexit has had an impact and although it rarely takes centre stage in the thinking of Germans I speak to, it has certainly brought into sharper focus the sense that the UK is not the same as the rest of Europe. It was understood in the past that the UK may be difficult and was always looking for “Extrawurst”, but it generally had a similar forward-thinking outlook as Germany. Now the only question I will be asked is “Why?”, as if self-inflicted financial meltdown and lack of forward planning was somehow a bad thing. The generalised view of the UK projected to German consumers is not different from how Germany or any country is generalised in Britain. It is easier to sell a national product abroad if it can be filtered through a common perception. It is heartening to know that at least culturally the UK is still of importance around the world. Being cool still has its benefits. My only hope is that the UK can continue to be culturally relevant, even as it becomes less an less politically relevant. Otherwise, Britain may be in danger of becoming the popular kid who peaked early and now spends its days leafing through faded memories of past successes, sitting in a dank basement surrounded by empty tins of baked beans.